As a part of the special 11 CDr box of Patrick Kosmos – The Chronicles (many now not playable any more due to the use of CD'rs of different brands) this is the second release by Groove of thsi brilliant musicians from Belgium! 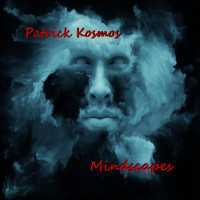 As a child Patrick Kosmos was fascinated by the universe and space travel and he even then wanted to translate his overwhelming feelings about infinity in music. In the early seventies he started to experiment with the first generation of analogue synthesizers, inspired by the musicians of the Berlin school. His musical ideas began to take shape and before long he found himself amidst numerous keyboards and other sophisticated electronic instruments. Mindscapes was originally released as a cassette album in 1987. And recreated by Patrick for The Chronicles with 2 additional tracks. Patrick's unique style comes across great in this release. A pure musical journey not in a particular style other then Patrick's own! After the release of Monument 1988 this had to be the second release of this great Musician that has left us much to early! !